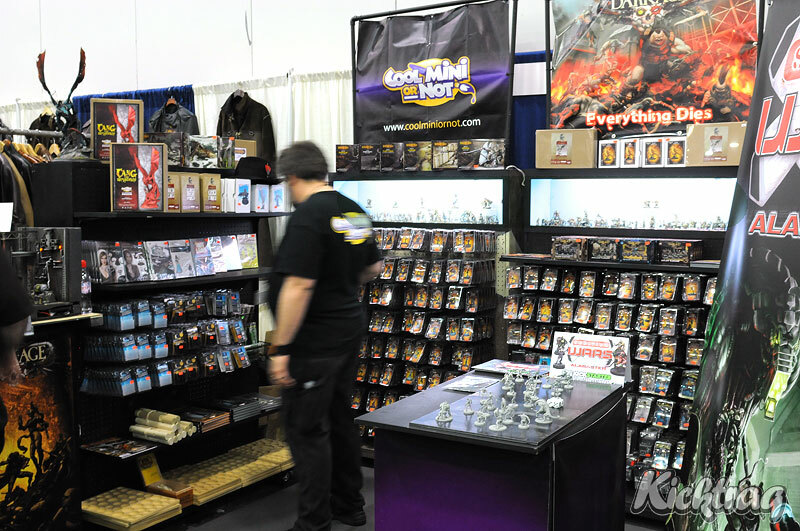 Living in Columbus, Ohio and being a board game fanatic, a trip to Origins Game Fair is an absolute must every year. 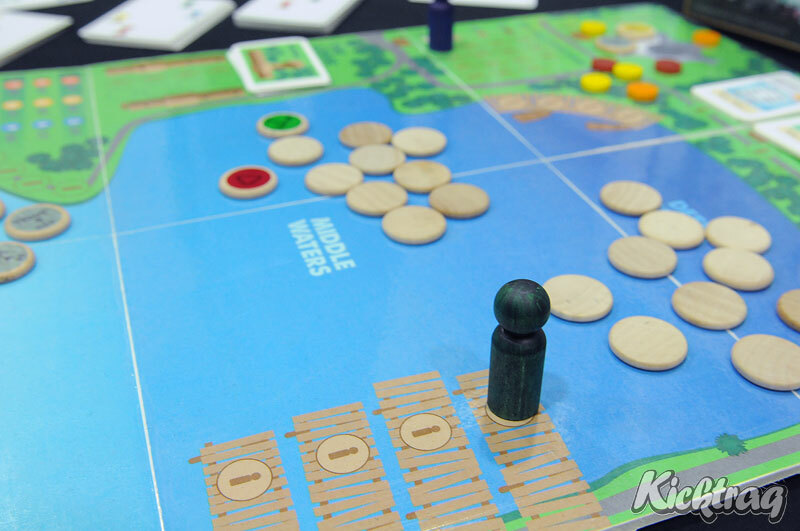 This year was a little different for me since not only was I there to check out the latest in board game hotness, but also to meet some of the makers of games I’ve been a backer of for almost a year. On a whim I hit up one of our Columbus-area embroiderers, got some Kicktraq shirts made up, and hopped on my bike to head downtown. With Kicktraq being brand new I wasn’t sure what kind of trouble I might get myself into, but I was sure I would be buying new games. It went better than I expected being recognized and hearing lots of “Hey! Are you the Kicktraq guy?” all weekend long. Lucky for me I brought along some saddle bags since I left with a load of new games as well as pictures from both recently-closed, soon-to-close Kickstarter projects, and more. Apologies to all the active projects that closed recently given the ill-timing of my visit to Origins and my limited-connectivity 2-week vacation soon after. I really wanted to feature as many active projects as I could, but the timing was terrible. 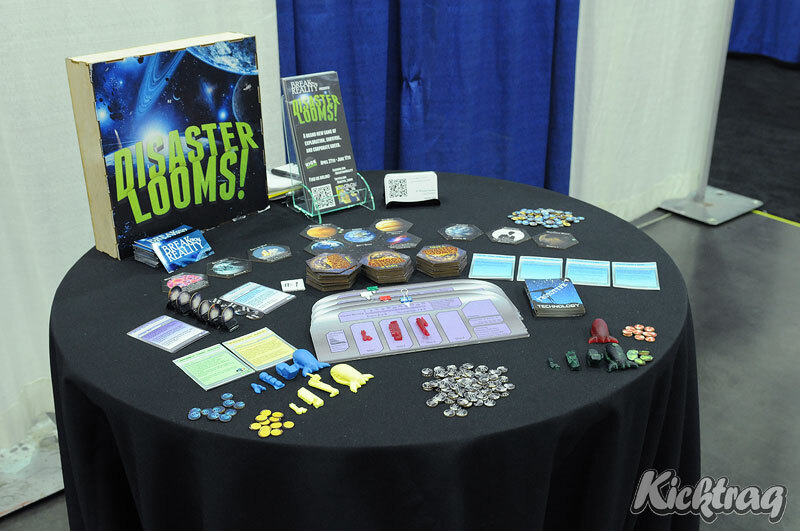 We met with the folks at Break From Reality Games where we got a preview of their new game, Disaster Looms! Research! Explore! Colonize! Survive! Collect Income. Oh yeah, and save the planet if it is profitable. I was happy to hear how excited they were that their game funded right before Origins – and got a sneak peek at some of the ships they’ve already shared in their recent updates. What I really enjoy is that some of their ships are of an atypical design in that the “cityscape” juts out of the side of the craft like giant skyscrapers, you know, because gravity doesn’t matter in space. Now that’s a neat touch! Disaster Looms! closes in a couple days and is currently at 175% of their goal. As an amateur rhymer (I get myself in trouble a lot), I really loved getting to play Goblins Drool, Faires Rule! 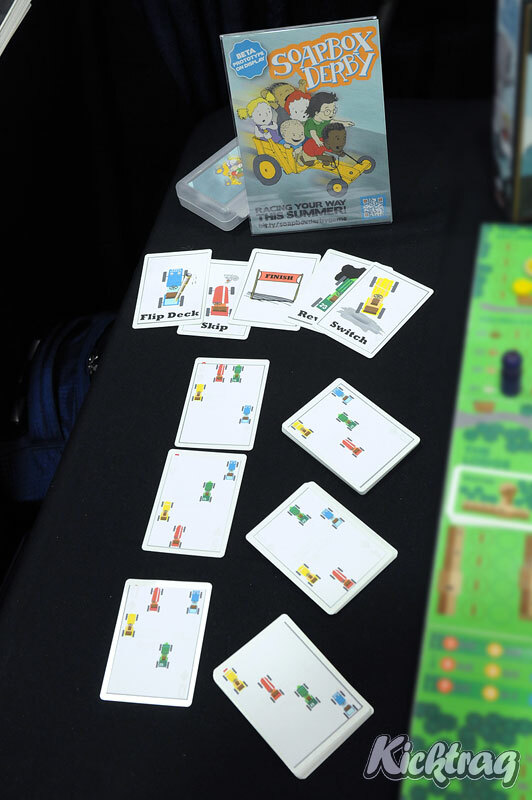 – A card game of rhyme and reason for kids of all ages – by Springboard… Powered by Game Salute. I grabbed this for a fun family game for us, and can’t wait to play it on our family game nights. 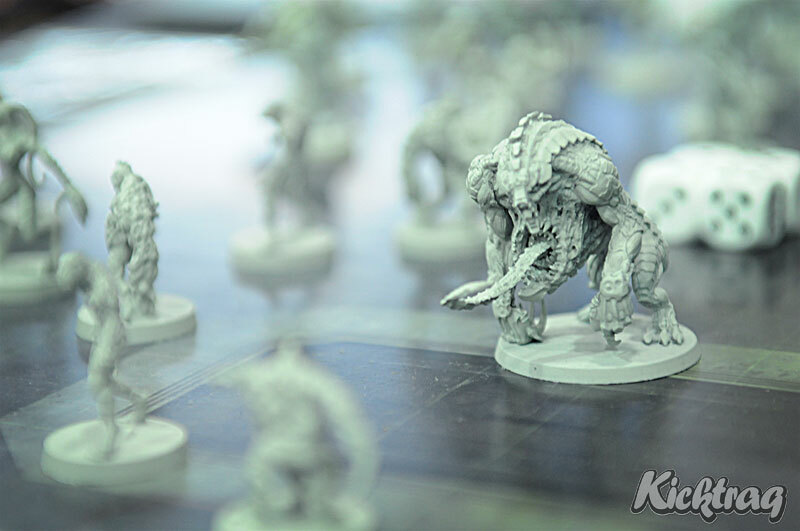 Goblins is also on Kickstarter, trending well above their goal at 524% with about 8 hours left for backers to get in on the action. 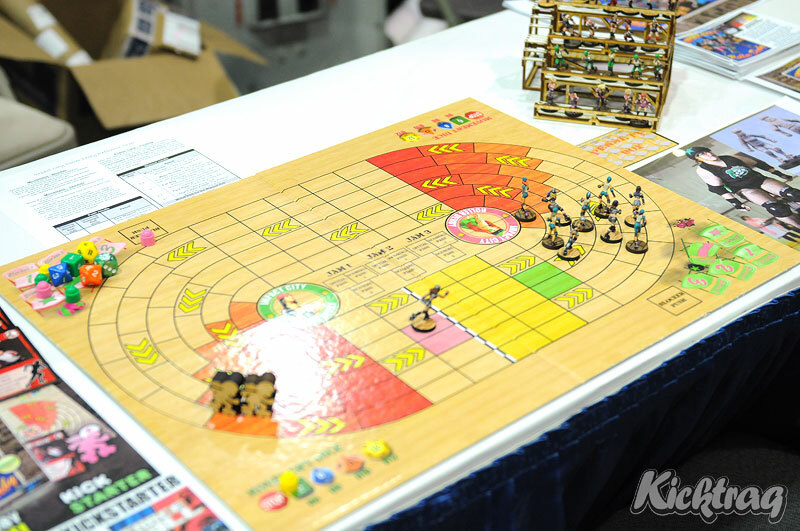 One of our favorite non-Kickstarter games, Tentacle Bento by The Soda Pop Girls was also on-hand to demo their game. Originally a Kickstarter, this game was slated to fund but canceled (presumably due to its risquè nature). Each game puts you in the enviable position of being a horrid, tentacle flailing, slime oozing monster from outer space, cleverly disguised (of course) as an adorable, and newly enrolled student at Takoashi University, an all-girls school nestled in scenic Japan. Cheeky and fast-playing, this game is totally a win for anyone who enjoys anime-style artwork and trick-taking card games. 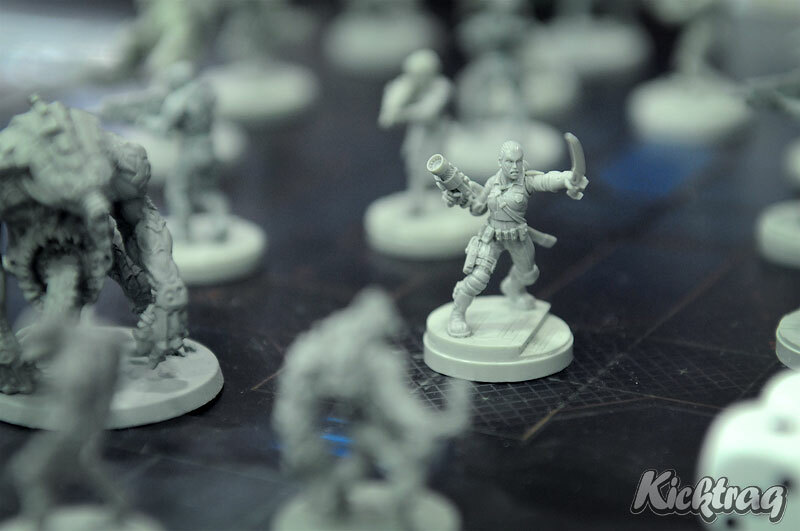 Fully funded on their own site, backers have about 12 more hours to help them work toward their stretch goals. While I was there, I also demo’ed Super Dungeon Explore, and couldn’t help but nab it and take it home with me. 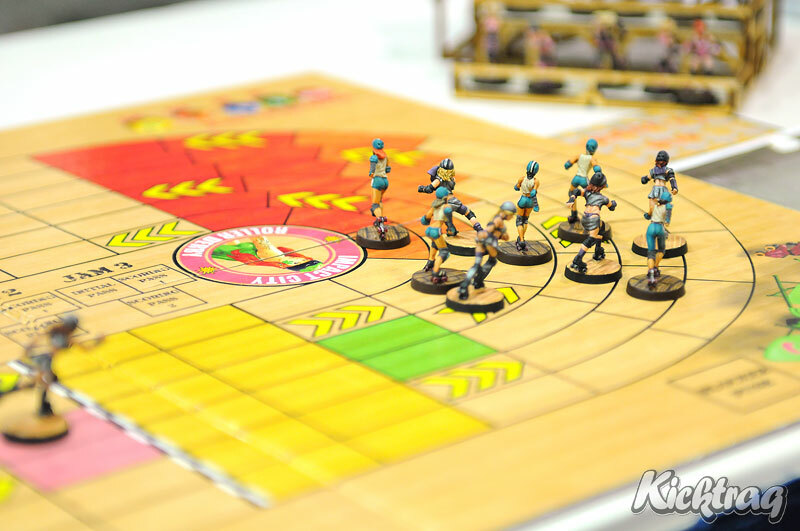 Another Springboard – Game Salute game I really liked was Impact City Roller Derby, the board game that captures all the action of the fastest growing sport in America. Talking with the Impact City folks, they truly have captured the essence of roller derby in a game for those who really love the sport. 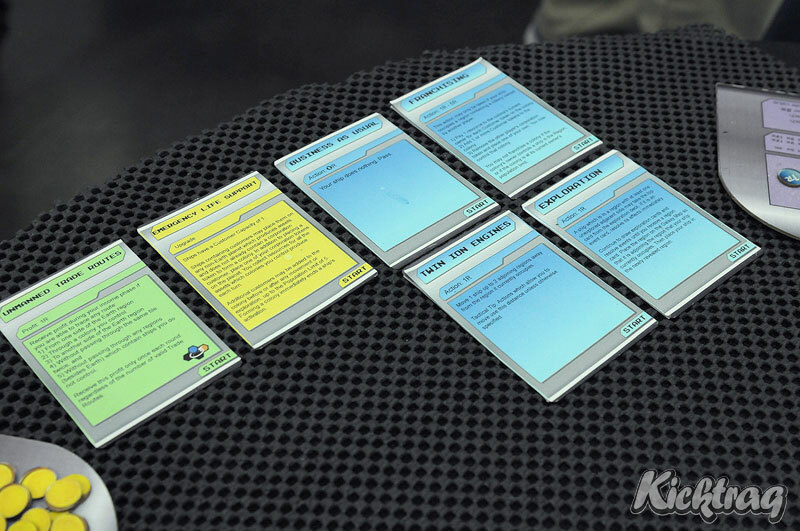 What’s neat is that teams can actually have custom play decks using photos from their team to supplement the game, and they get a sizable portion from every sale of the supplemental cards that goes directly to their team. At only 89% of their goal with about a week left to go, there’s plenty of time to help their jammer cross the finish line. 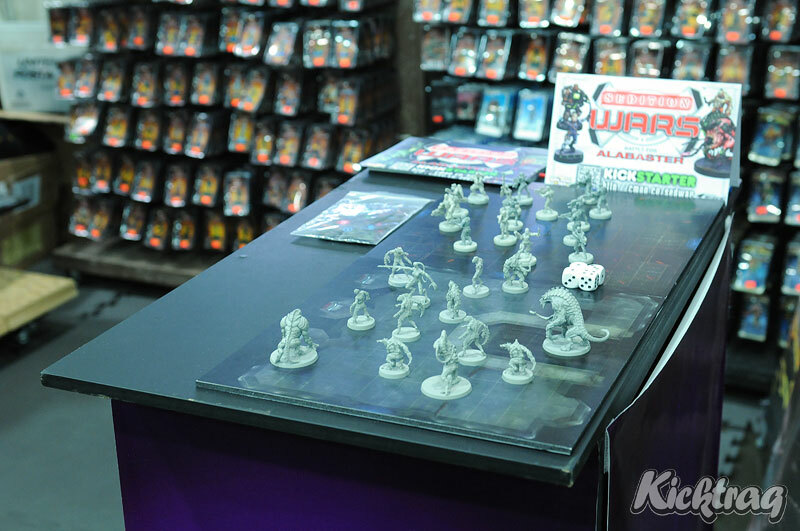 Then I stopped in and chatted with the super cool guys from CoolMiniOrNot about their latest success story, Sedition Wars: Battle for Alabaster. 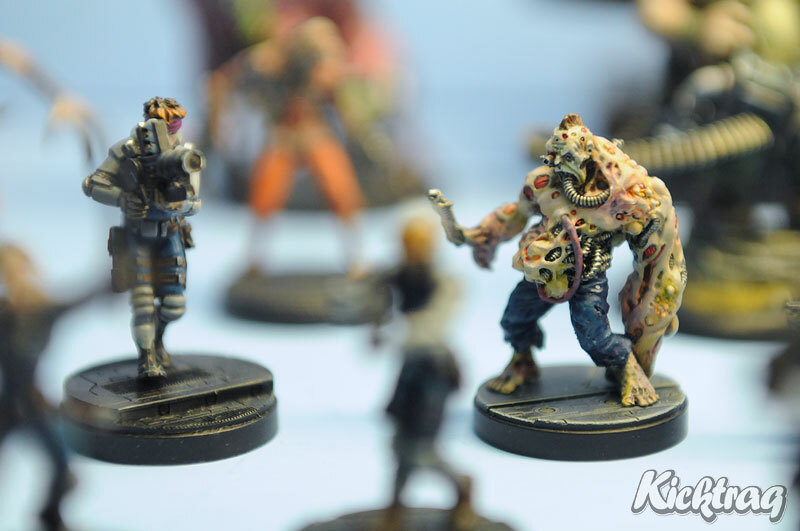 Much like their last project Zombicide, this Deep Space Horror board game with 50 amazing miniatures from Mike McVey is looking amazing the more and more they add to the overfunding levels. At well over 1500% of their funding goal, it’s getting more than interesting to see where they’ll end up. I caught a glimpse of the giant Rise sets that Crash Games had talked about in their Kickstarter campaign, so I had to go over and play with Michael Coe, who was doing demos of the game. I didn’t get a chance to demo myself as I was chatting up Patrick about their current project. Legend of the Lost Dutchman by Crash Games is their new treasure-filled adventure game for 2-5 players. Players take on the role of prospectors trying to find the Lost Dutchman’s Gold Mine. Watching some younger kids having a blast playing the game with Patrick was neat, and getting to meet and enjoy some of the great art done by Ian Rosenthaler was awesome. Did I mention I’m a sucker for art? With 35 days to go but only 21% of their goal pledged, you explorers out there should definitely take a look at this project. I went around and also chatted up some folks with successful projects to get a sneak peek for myself as I’ve backed most of these, but also to see what else they might have up their sleeves for projects we may see in the future. The first booth was Dice Hate Me Games of VivaJava and Carnival fame. My daughter loves Carnival, and I recently nabbed their new iOS app for Lucky Dice, which came free with Carnival, so we play a lot of their games on kids game night. I had the opportunity to talk with them about upcoming projects and got to play with the VivaJava components a little. Later that night in the Board Room, we had a chance to watch a a play through during one of the late night demo sessions. After watching, and as a backer, I’m even more antsy for it to show up on my doorstep. 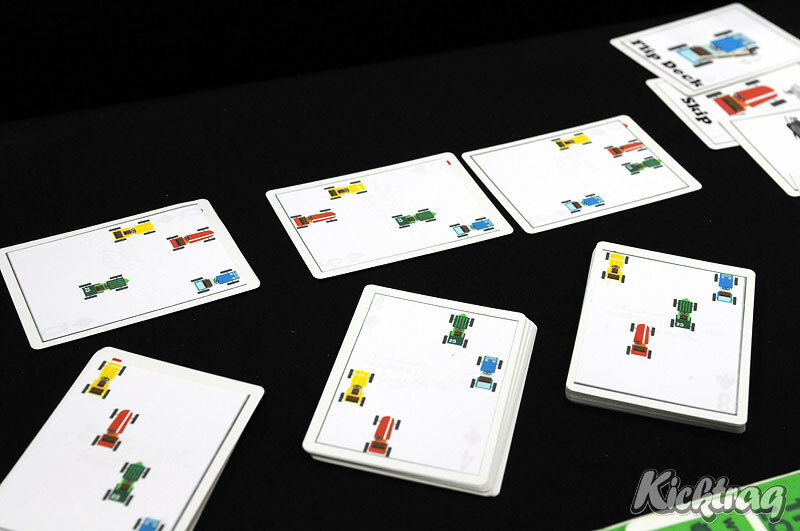 They’re also working on a few fun new games that they might put on Kickstarter in the next year. The one I’m most excited about is Compounded, which is a really neat game based on real chemistry and vetted by actual chemists. 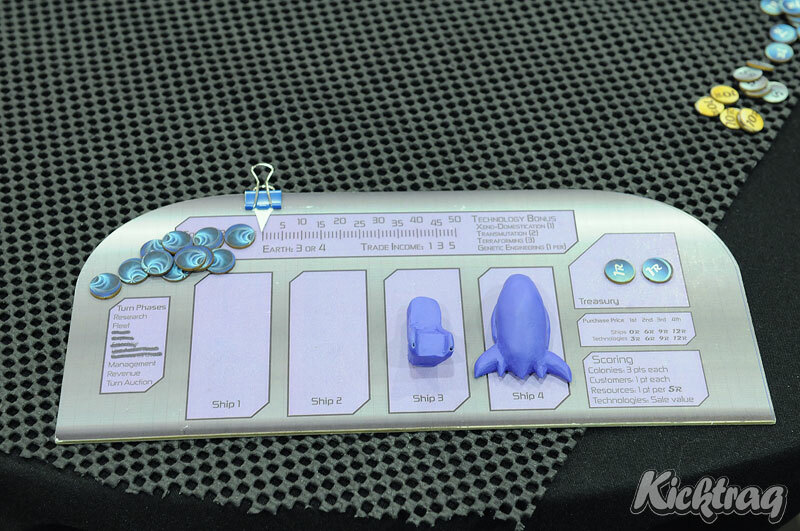 Now, before you turn your nose up thinking it’s going to be your standard educational-board-game bore, it’s not at all! The chemistry aspect is more the theme than the basis for the gameplay even though it’s completely accurate. Games like this are what excite me most about where Kickstarter creative content is going and what I look forward to sharing with my family. 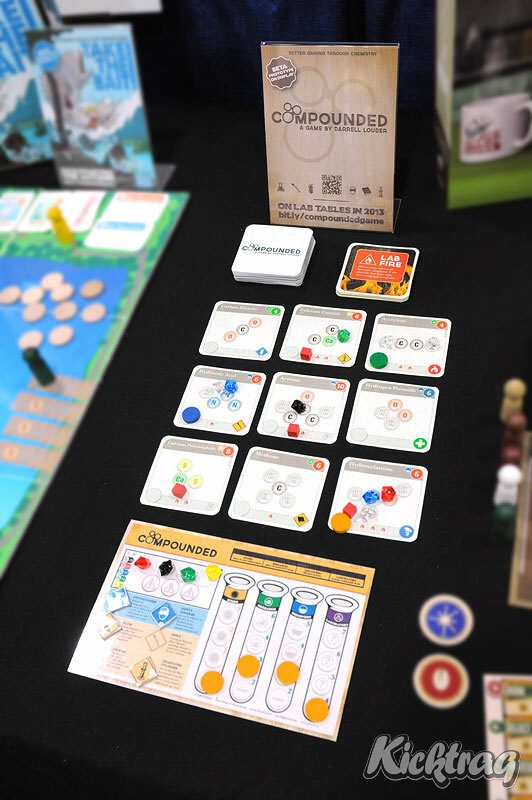 Tammany Hall by Pandasaurus Games is a board game of backstabbing, corruption, temporary alliances and taking power at all cost. We had the pleasure of playing a demo session late after the main hall was closed (special thanks for John Moller from Unpub for taking the time to teach us). I’m always wary of backstabby-esque games, but it was surprisingly more fun than I expected. I was already a backer before, but was even happier I was in for a copy for myself. Sorry I didn’t get a chance to nab some photo’s, the demo was on a whim and I’d already hauled my camera home. Tammany Hall closed June 15th at 432% of their goal with some really cool over-funding extras. I had to stop by CleverMojo and tell them how much we love Sunrise City. 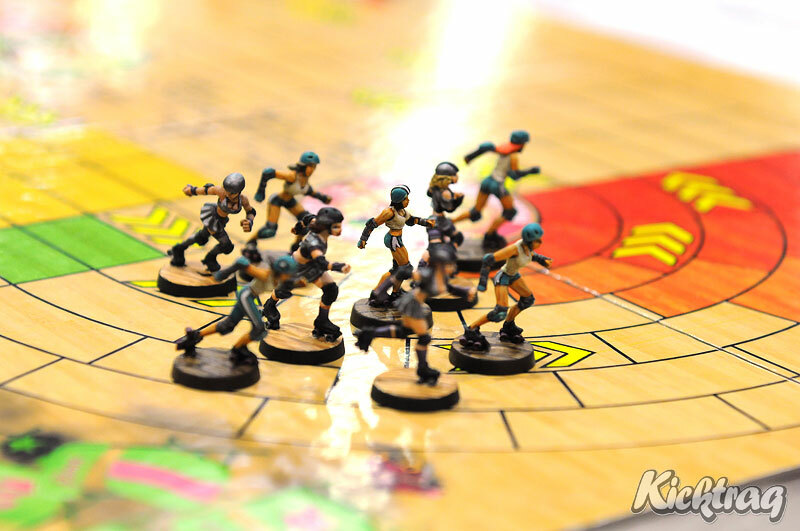 It’s become one of our favorite games (even though when I see the “Mob Boss” card, I cringe). 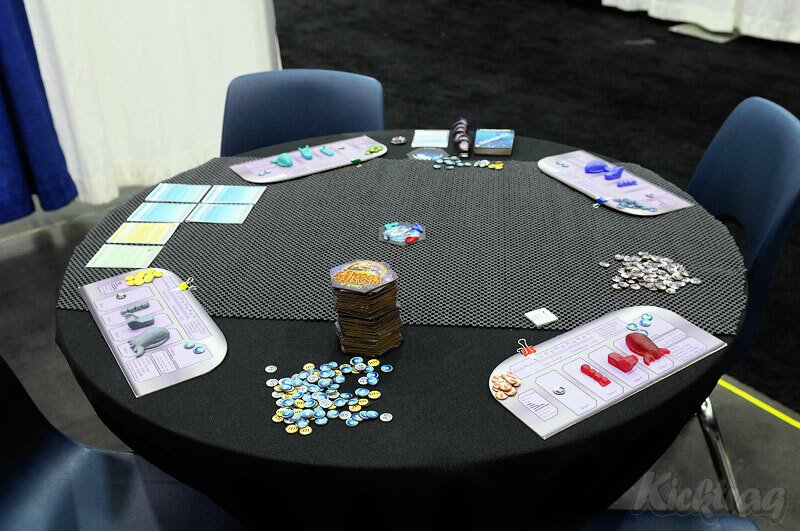 We stopped in and got ourselves some buttons, and got a chance to watch a quick demo of Alien Frontiers and see some of the components for the expansion up-close-and-personal. 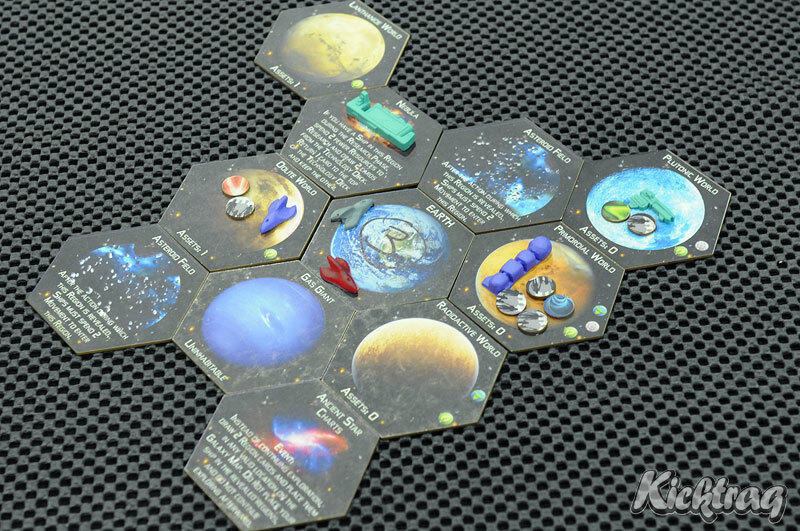 Yesterday, they launched a Kickstarter project to put Alien Frontiers on the iPad. I didn’t have a chance to chat with them about it, but it looks promising. Mayday games has had a string of successful projects and most recently wrapped up Lemonade Stand, Eaten By Zombies: Cahoots, and Weykick. 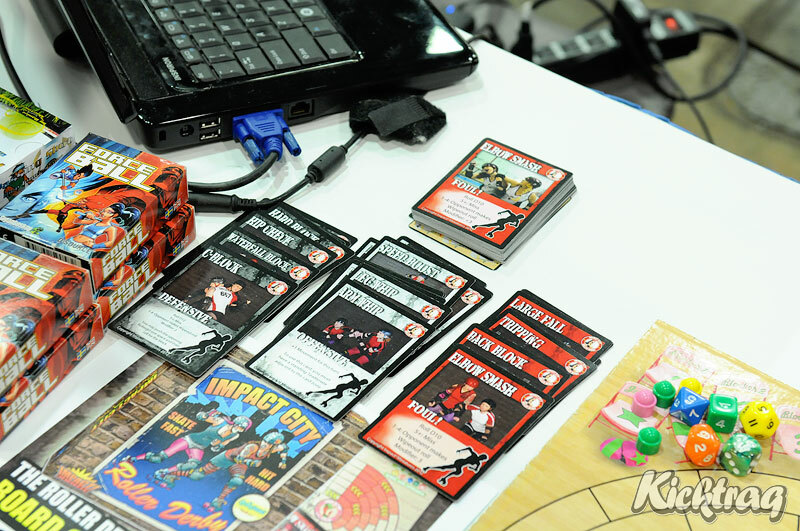 They also won the 2012 Origins Award for Best Family/Party Game for Get Bit. We had a chance to play a demo of Lemonade Stand which was great, but Weykick was a hit and there wasn’t any chance I was getting near that with all the kids surrounding it every time we walked by. I’m glad my 6-year-old wasn’t there, or we might have had to get one of the Weykick sets. 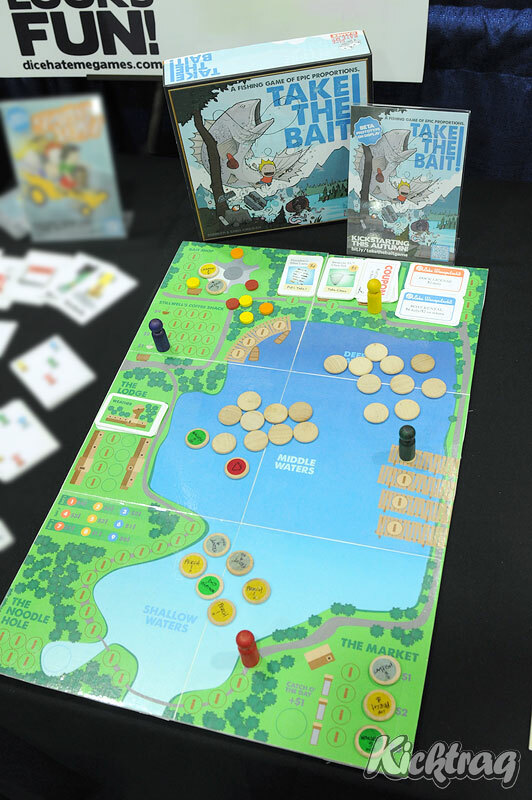 He already loves Get Bit, and it looks like they’ve revamped it for a retail release with a neat window that shows the actual components that come inside. Again, congrats to Mayday Games! We also got to visit with Christoper Badell from Sentinels of the Multiverse – really, really awesome guy. I saw a quick demo of Zpocalypse but they were busy so I sadly didn’t get to try it myself. 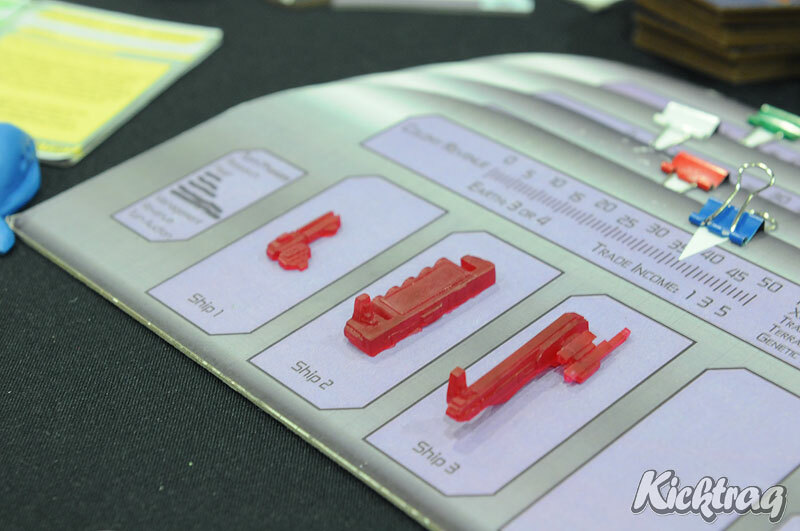 Dan Yarrington from GameSalute gave us a peek at Launch Pad and Off Your Rocker – made me even more disappointed I didn’t get in on the Off Your Rocker 6-pack deal. We met Matthew Duhan from Gozer who ran the squeaker of a campaign Titans of Industry. And Jonathan Schwarz from Weaselpants Productions who demo’ed Red Shirts, which I took home. I chatted with Stephen Buonocore from Stronghold Games who released Confusion: Espianage and Deception, my birthday present to myself last year, and he talked me into getting Panic Station which I’m excited about cracking open. And I got a chance to play with a giant Microsoft Surface table with the D20Pro software by Mindgene for tabletop games. This, of course, doesn’t account for my full game shopping spree which also included a copy of Dixit Journey (we really love Dixit, and are hoping the very literal 6 year-old can get in on the action with this new version); Jungle Speed, a cute matching and reflex game; Divinare, a contest of late 19th century clairvoyants; the latest version of Oz Fluxx; Undermining and Mondo by Z-Man Games; Yamslam by Blue Orange, maker of one of my son’s favorite games Spot It! ; a Steam Punk Dice Set by Q-Workshop (I spent probably an hour digging through their awesome dice); and a couple of copies each of Let’s Take A Hike and Kittens In A Blender (1st edition). Whew! 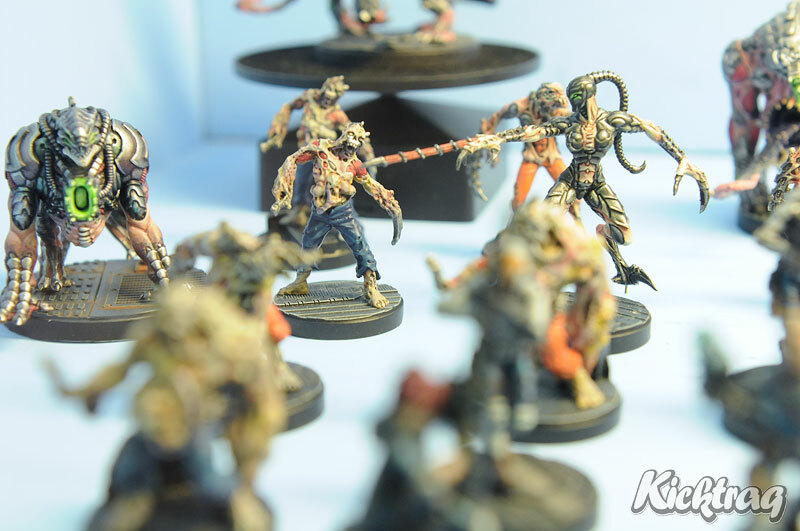 So, that was my crazy Origins 2012 “on a whim” weekend report. Meeting with folks at Origins just confirmed I’m headed to Gen Con in August, so if anyone wants to plan a meetup or dinner, I’d love to chat with you!